While summer is full of fun activities like trips to the park, BBQ’s and pool-side lounging, the warm weather also provides a great time to complete a handful of cleaning projects outside of recreational activities. Often overlooked during regular cleaning activities, silk plants tend to be laden with dust upon close inspection. The easiest way to clean them up is to take them outside and hose down the leaves. If need be, mild soapy water and a soft cloth can be used to wipe off remaining dust before rinsing once more with straight water. Allow the foliage to dry before returning to its indoor home. Despite utilizing trash liners, garbage cans are usually sticky, smelly and have some amount of stray garbage stuck to the bottom. Fill the bottom of the can with very hot water and allow to soak to loosen grime. Any remaining gunk can be wiped clean using an anti-bacterial wipe like Lysol. Turn cans over and lean them against a wall at an angle allowing them to drip dry outside. Avoid having the can upside down and with the rim flush against the ground- this creates a humid environment inside the can preventing it from drying quickly and can increase odors. Be sure the can is completely dry before applying a fresh liner- if not dry, the same humid environment will be created when moisture is trapped in the can by the liner. Summer is the quintessential season for grilling and barbecuing but these cooking appliances are often overlooked in the maintenance department. Check out this helpful link that covers the best way to clean your grill, gas or charcoal. Just be sure to drop us an invite before you fire it back up- we’ll bring the hamburger buns! We tend to use these areas as a catch-all during the winter months when the cold prompts us to hastily place items wherever they will fit so we can return to the warmth of the indoors. Pull everything out, pitching broken items and setting aside items designated for goodwill donation. Sweep out the space of dead leaves, dirt and cobwebs before returning everything to its rightful spot. If you have a bit more time to dedicate to the project, install peg boards, overhead storage or shelving to create a super organized space. 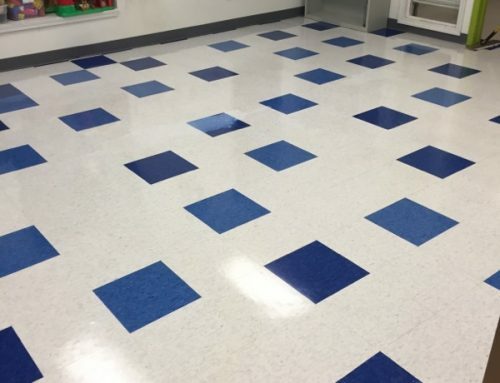 Should you be interested in going the extra mile, consider applying an epoxied finish to the floor that can be mopped clean when needed. If a DIY project isn’t your style, check out a company like Detroit Garage Solutions who can build it for you! There are a multitude of uses that pressure washers are useful for during the warm months in both commercial and residential settings. Drive-throughs, driveways, sidewalks, exteriors of structures, decks, patios, garages and parking lots are just a few of the most common areas cleaned using pressure washers. Be sure to follow the suggested maintenance directions of all surfaces before cleaning them- different materials can only withstand PSIs to a certain level and can potentially be damaged if improperly cleaned. For a quote on commercial applications, please contact our office today!